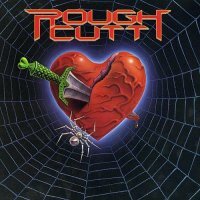 Regulars on the sunset strip in the heady days of the early-eighties, the Wendy Dio-managed Rough Cutt had less luck than most. Their high profile connections and standard of musicianship had already seen them losing guitarist Jake E. Lee to Ozzy Osbourne and his replacement Craig Goldy to Giuffria, with bassist Joey Cristofanelli joining Ratt and keyboard player Claude Schnell hooking up with Dio. Eventually settling on a line-up with Matt Thorr (bass) and Chris Hager and Amir Derakh (guitars) alongside founder members Dave Alford (drums) and gravel-voiced singer Paul Shortino, Ronnie James Dio produced demos that were instrumental in them signing to Warner. 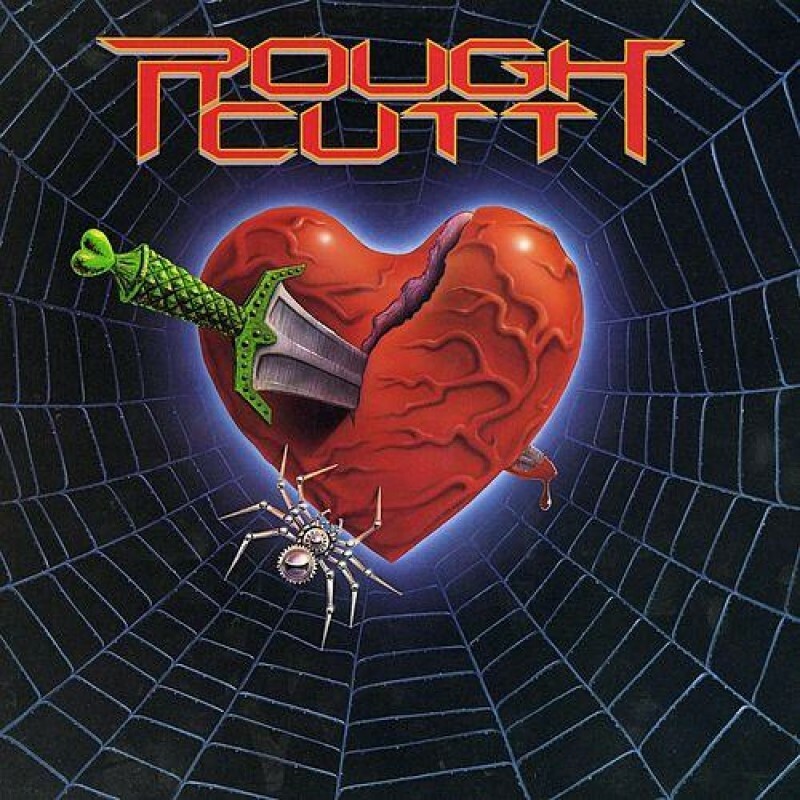 They eventually settled on Judas Priest's Tom Allom as producer but by the time their self-titled record was released at the end of 1984, Quiet Riot had already hit the top spot in the US charts and many others already had big selling albums as well. RC had seen themselves as more of a Metal band than most on that scene and that's borne out by these two albums, but as well as the debut album finally turned out, they seem critical of Allom in Malcolm Dome's sleeve interview. They accuse him of trying to turn them into another Hair band, which I'm not hearing in the sharp, abrasive guitar riffs of the highly original opener 'Take Her', the thumping high-speed Metal of 'Cutt Your Heart Out' or the dark and sinister 'Black Widow'. Catchy, sing-along choruses just weren't their thing and most of the songs have a definite British influence, but even when they take their collective feet off the gas, the melodies of 'You Keep Breaking My Heart' and 'She's Too Hott' still score lowly on the cheese-ometer. I also have to disagree with the band about the two covers, the version of Australian band The Choirboys 'Never Gonna Die' beats yet another version of Janis Joplin's 'Piece Of My Heart' any day of the week. However, there's no disagreement on my part that the finely crafted and atmospheric 'Dreamin' Again' is their best song and should have been the first single, it's actually one of the best songs to come out of America in the entire eighties and showcases their great musicianship and Shortino's unique and powerful voice. Sadly, the band's A & R guy (and biggest supporter) left the label and a lack of interest meant that an album was recorded to fulfil the contract and was thrown out into the market with little promotion. 'Wants You' was a good, Hard Rocking release without any real low points, but unfortunately it didn't have a '...Again' or '...Her' either and galloped along the road of Rock clichés with songs like 'Hot 'N' Heavy', 'We Like It Loud', 'Bad Reputation' and 'Double Trouble'. Don't get me wrong, these weren't bad songs at all but they lacked the debut's outside-the-box song-writing and dangerous vibes and there weren't enough dark moments for Shortino to throw his lung-busting rasp into. The closest they came were the Bluesy ballad 'The Night Cries Out (For You)' and razor-sharp Speed Metal of 'Rock The USA' and 'Let 'Em Talk', with 'Don't Settle For Less' having the most commercial chorus. Nicely produced by the legendary Jack Douglas and given new life by Jon Astley's expert re-mastering, the debut is a much better album than '...You', but both still Rock and come along as a timely reminder of one of the best bands of their ilk.